Jim Hoekema has been an interactive multimedia and user experience designer for 40 years. Trained as an art historian and as a book editor, he started as a designer at the Office of Charles and Ray Eames with the “Art Game” project to be described in this talk. In the years since then, he has worked as: an independent consultant for numerous clients; as design director for interactive multimedia publishing at Philips Electronics in the U.S. and Europe (1987-2001); and as a user experience architect for the consulting firm Accenture (2008-16). 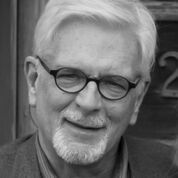 He has published articles on interactive design in professional journals and on art, architecture, and historic preservation in publications such as Artforum, Arts, and Architectural Digest. He holds two masters degrees in art history from Columbia University.